Groupe ADP, landowner and developer, and AccorHotels, investor (through its subsidiary AccorInvest) and operator (through its subsidiary AccorService), have signed two building leases, one for the renovation of the current Mercure hotel and one for the construction of a new ibis Styles hotel at Paris-Orly Airport. This new hotel complex, located at the gateway to the Orlytech district, upgrades and adds the finishing touch to the hotel offering in this service district to the north-west of the airport. The current Mercure hotel**** will undergo considerable renovation with 189 rooms to be completely refurbished by 2019. Its services offering will also be upgraded with, in particular, a new food court with glazed walls, opening out onto a large terrace. An ibis Styles*** hotel will be built next to the renovated Mercure hotel. It will have 200 rooms over four floors, with views over the Orlytech district. 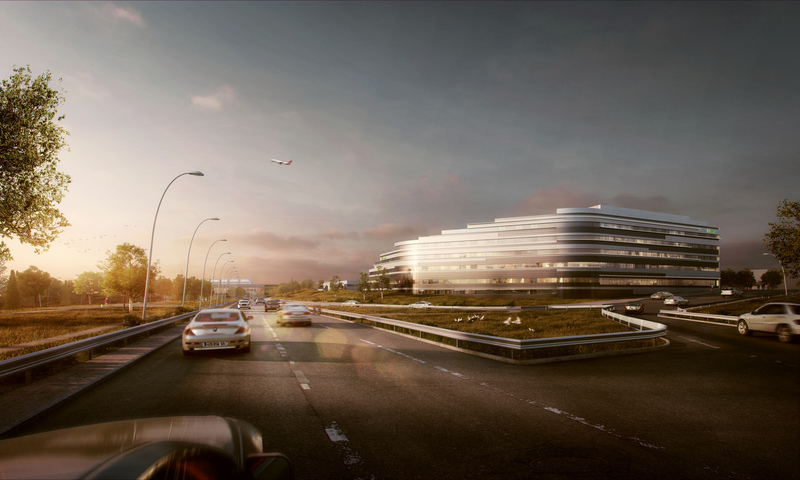 Its ultra-modern façade, designed by architects Arte & Charpentier, will indicate the entrance to the airport from the A106 and RN7 roads. 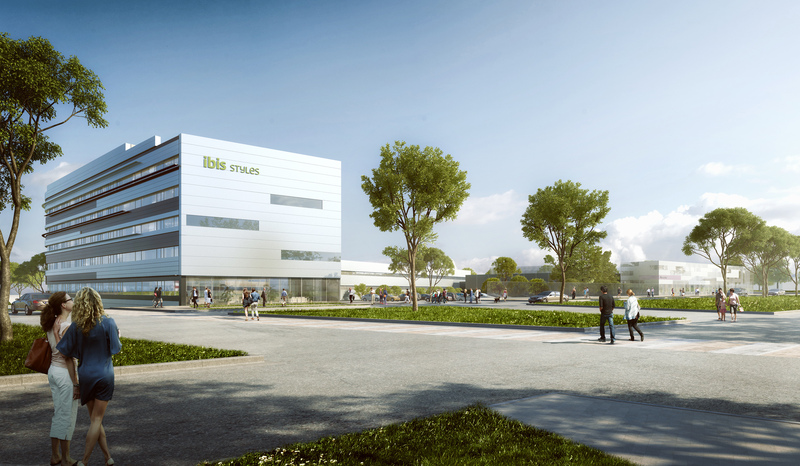 The ibis Styles’ 200 new rooms will bring Paris-Orly Airport’s current accommodation capacity (including Novotel Paris-Coeur d’Orly Airport, ibis Paris-Orly Airport and ibis budget Paris-Orly Airport) up to 1,089 rooms. These two hotels will provide options suitable both for families and business travellers. Over the years, Paris-Orly Airport has become a major business hub in the heart of the third-largest economic centre in the Paris region. Located just 10 minutes from Paris, Paris-Orly Airport is accessible from several motorways and many public transport routes (Orlyval-RER B, RER C, Tramway T7, and buses). Access will be improved further with the completion of metro lines 14 and 18 of the Grand Paris Express and with the creation of a TGV railway station. Large-scale modernisation works are in progress at the airport, which will change its appearance and make it more welcoming, thanks in particular to the construction currently underway of a connecting building which will create a link between the South and West Terminals by 2019.
exceptional geographic location and a major catchment area, the Group is pursuing its strategy of adapting and modernising its terminal facilities and upgrading quality of services; the Group also intends to develop its retail and real estate businesses. In 2016, Group revenue stood at €2,947 million and net income at €435 million. Registered office: 1, rue de France, 93 290 Tremblay-en France. Aéroports de Paris is a public limited company (Société Anonyme) with share capital of €296,881,806. Registered in the Bobigny Trade and Company Register under no. 552 016 628. ​​AccorHotels is a world-leading travel & lifestyle group and digital innovator offering unique experiences in more than 4,200 hotels, resorts and residences, as well as in over 10,000 of the finest private homes around the globe. Benefiting from dual expertise as an investor and operator, AccorHotels operates in 95 countries. Its portfolio includes internationally renowned luxury brands such as Raffles, Sofitel Legend, SO Sofitel, Sofitel, Fairmont, onefinestay, MGallery by Sofitel, Pullman, and Swissôtel; the mid-range boutique hotel brands 25hours, Novotel, Mercure, Mama Shelter and Adagio; and very popular budget brands such as JO&JOE, ibis, ibis Styles and ibis budget, as well as the regional brands Grand Mercure, The Sebel and hotelF1. AccorHotels provides innovative end-to-end services across the entire traveler experience, notably through the acquisition of John Paul, world leader in concierge services.